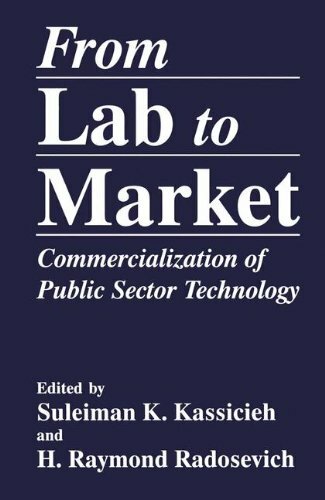 The topic of this book, the commercialization of public-sector technology, continues to grow in importance in the United States and sirnilarsocieties. The issues involved are relevant to many roles including those of policy makers, managers, patent attorneys, licensing agents, and technical staff members of public technology sources. Institutions increasingly involved in the process include federal and other governmentallaboratories and their related agencies, public universities and their state governments, public and private transfer agents and, of course, all the private recipients of public technology. Scarcely a day goes by without a significant event related to technology transfer and commercialization. The popular business press is regularly carrying articles addressing the issues, explaining new initiatives and describing events of notable success or failure. [l] As an example of current important events, the Technology Reinvestment Project (TRP) is forrnu­ lating its initiatives totransfer public technology and promote technology-based publiclprivate partnerships as a collaboration between the Advanced Research Projects Agency (ARPA), the National Institute of Standards and Technology (NIST), the National Science Foundation (NSF) the National Aeronautics and Space Administration (NASA), and the Department of Energy, Defense Programs (DOE/DP). View More In Development & Growth. If you have any questions about this product by Suleiman K Kassicieh, contact us by completing and submitting the form below. If you are looking for a specif part number, please include it with your message.